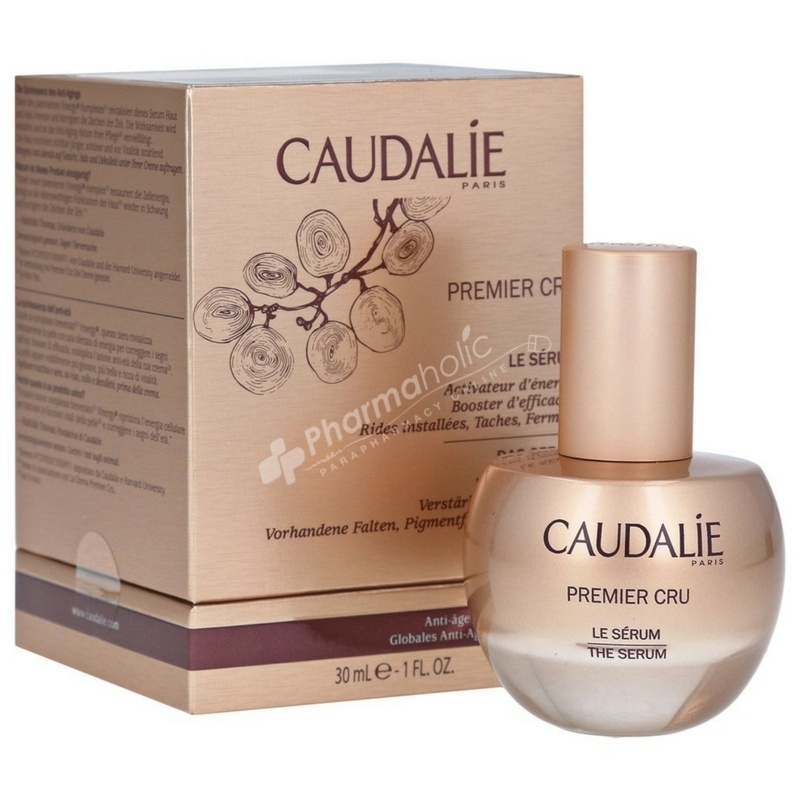 Caudalie Premier Cru The Serum leaves skin looking visibly energized and reduces the signs of aging. The serum acts as an efficacy booster, improving the action of The Cream**. Skin appears younger, firmer and the appearance of wrinkles seems reduced. the skin glows with vitality. Place a few drops of serum on your fingertips. Apply morning and evening to fac, neck and décolleté before your moisturizer. Tap gently with your fingertips to stimulate the effectiveness of the formula. Aqua/Water/eau, Glycerin*, Niacinamide, Methylpropanediol, Betaine*, Ribose, Hydrolyzed Hyaluronic Acid*, Paeonia Lactiflora Root Extract*, Sodium Hyaluronate, Palmitoyl Grape Seed Extract*, Sodium Hyaluronate, Palmitoyl Grape Seed Extract*, Palmitoyl Grapevine Shoot Extractù, Caprylyl Glycol, Carbomer, Polyacrylate Crosspolymer-6, Helianthus Annuus (Sunflower) Seed Oil*, Tocopherol*, Hydroxyethyl Acrylate/Sodium Acryloyldimethyl Taurate Copolymer, Phenylpropanol, Sodium Carboxymethyl Beta-Glucan, Sorbitan Isostearate*, Parfum (Fragrance), Sodium Phytate*, Sodium Hydroxide, Geraniol, Linalool.